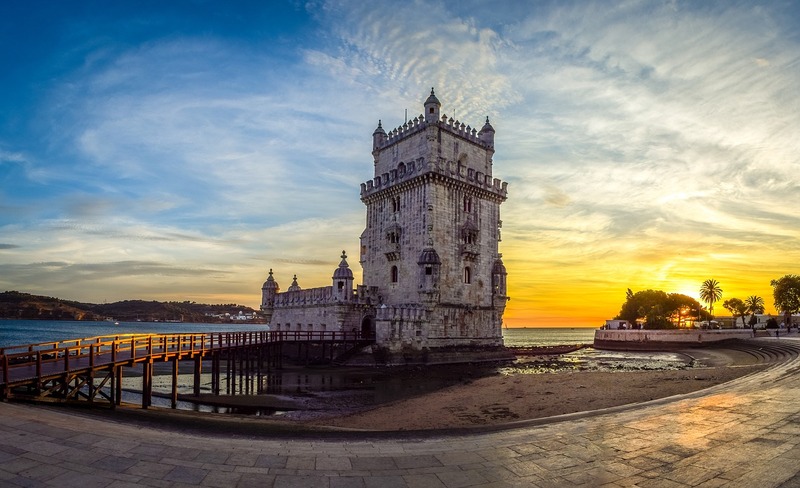 From winding canals to cobblestone villages, captivating cities and golden beaches… history, great food and idyllic scenery are just the beginning of this 2020 summer Amsterdam, Galicia & Portugal Tour. 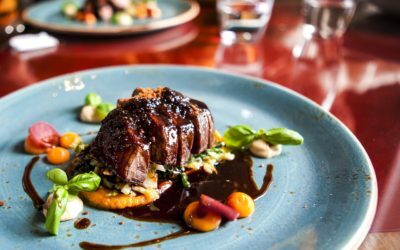 Taste your way through an array of culinary highlights; from delicious Dutch stroopwafels, fish and cheese to the perfect Portuguese port wines, cataplanas and more. Discover important historic and religious sites such as Spain’s Santiago de Compostela and the ancient Roman lighthouse known as “Hercules Tower”. Soak up the Mediterranean lifestyle as you wander through old towns and relax on beaches. Learn from the experts on guided sightseeing tours and take in all that you can as you cruise down rivers and coast along canals. With 3-4 star central hotel stays and daily delicious breakfasts and dinners, sign up for a 2020 summer on tour with Lingo Tours and create magical memories that simply put, are just priceless. Starting off in quirky Amsterdam, discover the city canals and the food highlights of this Dutch capital city. Then it's off to Portugal you fly! From Porto you'll head north to Galicia, Spain for a day trip before heading south to Lisbon via Coimbra. Take a day trip out to the sandy beaches of Cascais before your return flight home. All hotels are centrally located and of 3-4 star standard. The exact hotels will be communicated closer to departure time. On this tour you'll enjoy full daily hot buffet breakfasts as well as daily delicious, 3-course dinners. 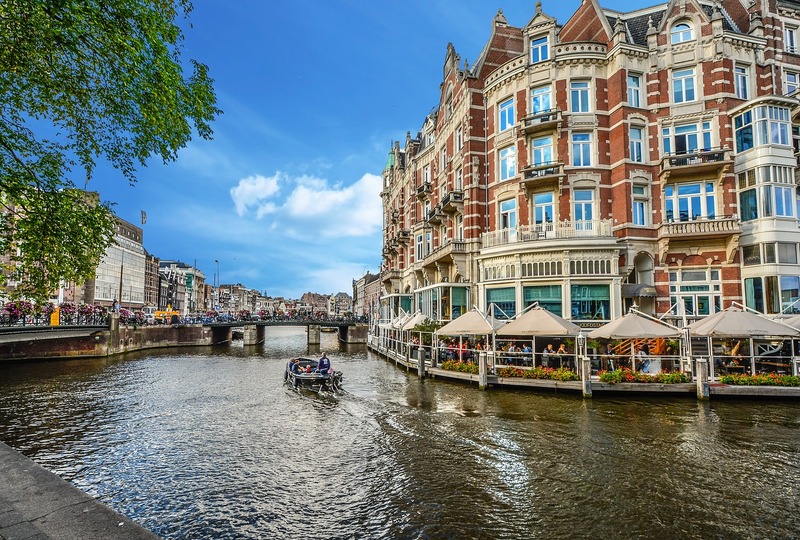 Depart on an overnight flight from St Louis to Amsterdam, Netherlands. Arrive in Amsterdam and be greeted by your Tour Manager at Schiphol Airport. 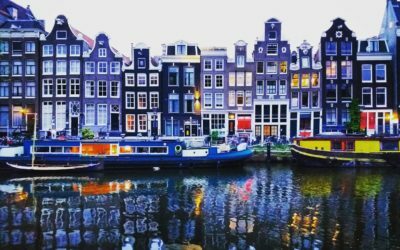 Transfer into central Amsterdam and take a wander as you marvel at the quirky wonky houses lining the city’s canals. Then it’s all-aboard as you take to the water for a cruise along the famed Amsterdam canals. At night enjoy a delicious and hearty Dutch-style Welcome Dinner all together in the old town centre. The Anne Frank House Museum is a must-see while in Amsterdam so spend your morning discovering the Jewish wartime diarist Anne Frank’s house with your included entrance. Then discover more about Amsterdam on a guided sightseeing tour led by an expert local guide. Enjoy some free time in the afternoon or take up the optional half day excursion to the picturesque Dutch fishing village and windmill communities of Volendam and Zaanse Schans. Return to Amsterdam in the afternoon and enjoy dinner after visiting a local windmill brewery along the outer canals. Enjoy a free morning in Amsterdam to visit your favorite museum or just sit at a canal side café and relax. 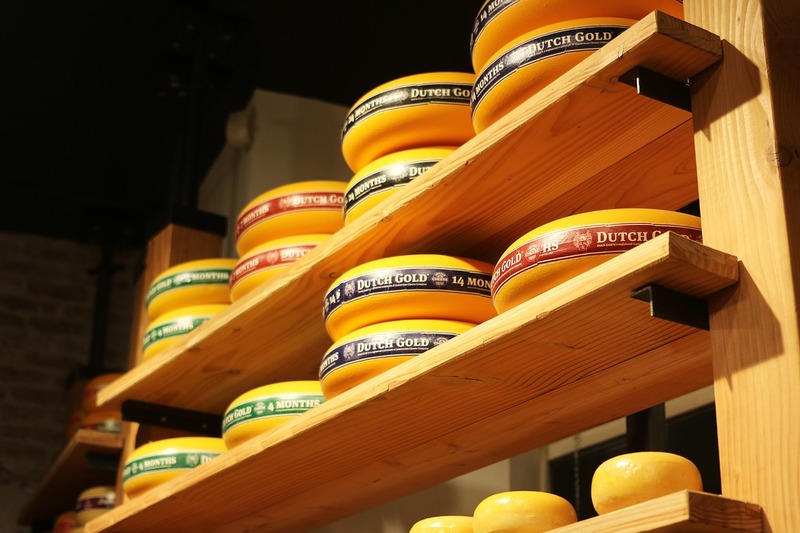 Take a Tour Manager led walk to Europe’s longest day market Albert Cuyp Market and try the many varieties of Dutch food such as stroopwaffels, herring bread, cheese, fish and more. Devour dinner in the market area and soak up the European nightlife and atmosphere. 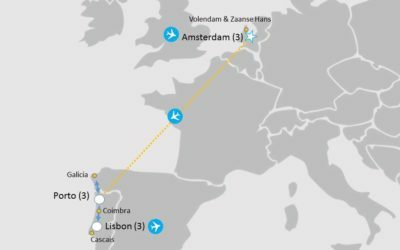 Transfer to Amsterdam airport and board your flight to Porto, Portugal and get ready to say hello to the home of the best Port in the world! After dropping your luggage at your hotel, discover the city on a Tour Manager led walk of Porto and get lost among the narrow cobbled streets that wind past merchants’ houses along the Douro River. Enjoy dinner at night in the Old Town. Take a full day excursion to Galicia, Spain. Visit the pilgrimage site of Cathedral Santiago de Compostela for a guided sightseeing before you continue onwards to A Coruña at the very north-western tip of Spain. Enjoy a stroll on the beach and discover their local fish market where you can find the best the region has to offer. Take some time for lunch and visit “Hercules Tower” lighthouse, an ancient Roman lighthouse overlooking the city and the Atlantic Ocean. Return to Porto in the evening and end a perfect day with a yummy dinner all together. Start the day with a river cruise along with Douro River before taking some free time to explore Porto in your own way. Regroup together for a Port wine tasting followed by dinner in the evening. Travel to Lisbon via Coimbra and discover the medieval capital of Portugal. Marvel at Coimbra’s multi-coloured collage of buildings that tumble down the bank of the Rio Mondego and enjoy a guided sightseeing tour of the Old Town. Take some time for lunch before you continue onwards to Lisbon where you’ll sit down to a typical Portuguese-style dinner at night. Spend your morning on a guided sightseeing of Lisbon led by an expert local guide. Make the most of some free time in the afternoon for you to discover Portugal’s hilly, coastal capital city. Gather back together for the Optional Fado Evening Experience at night. Get out and about today on a Tour Manager led excursion to Cascais, a coastal resort town west of Lisbon which is known for its sandy beaches and lively marina. You’ll have free time here to explore however you wish before returning to Lisbon for your Farewell Dinner at night. Transfer to the airport for your return flights to St. Louis. 9 June 2020 – Depart St. Louis, USA flying to Amsterdam, Netherlands. 19 June 2020 - Return from Lisbon, Portugal to St. Louis, USA. Entrances and transportation to and from traditional Dutch fishing village and windmill communities. Traditional Portuguese music and song with a drink included. Minimum amount of travellers to run the Half Day Excursion to Volendam and Zaanse Schans is 14 travelers and 10 travelers for the Fado Evening Performance. • Twin/double room rate is for travellers sharing one room with two single beds or a double bed formation. Solo travellers who chose this option can specify who they would like to share a room with otherwise they will be matched up into these room formations based on age and gender. • Rates do not include excess airline luggage fees, nor transport to/from USA airport. • Rates are based on no/little fluctuation in exchange rate between USD and Euros. Should the USD weaken significantly towards the Euro a correction in tour price would be done accordingly. • Minimum amount of travelers is 15. Sign up online with tour code AGP061 and secure your space by paying the registration fee.